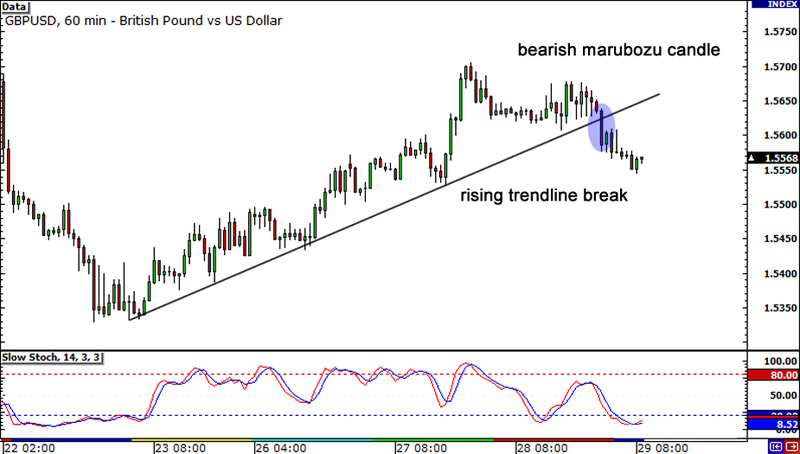 First up, we’ve got a trendline break on Lady Cable. After climbing up steadily throughout the week, it seems that the bears have had enough and are taking control. See that bearish marubozu candle? That’s a strong signal that trend has changed! Before jumping in blindly though, I suggest waiting for a small retracement and a retest of former support around 1.5620 before putting up some short positions. 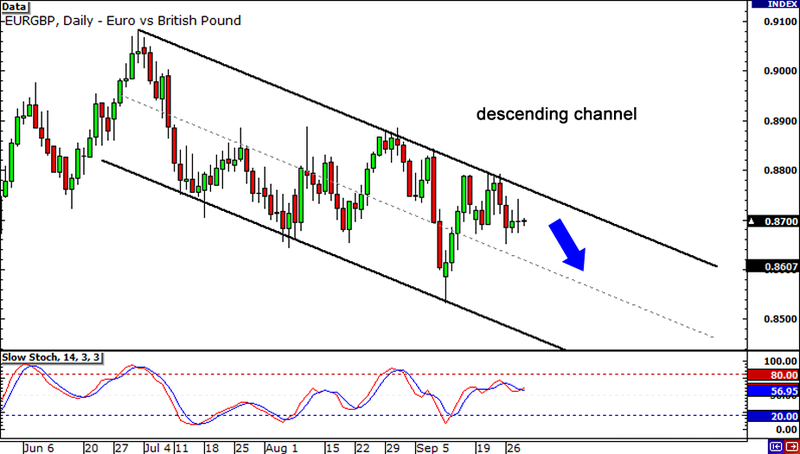 Next, here’s a look at the daily chart of EUR/GBP! This playa has been in a solid descending channel the past couple of months, repeatedly bouncing off the support and resistance lines. If you plan on jumping in on another retest of the falling trendline, be aware that another test would be the 5th time price has touched resistance. And you know what they say, the stronger a support or resistance level holds, the bigger the break! It may be best to wait for more confirmation, like an overbought Stochastic or reversal candlesticks, that the channel is still intact. Lastly, here’s Huck‘s favorite pair (BTW, congrats on your latest trades buddy! ), EUR/USD! 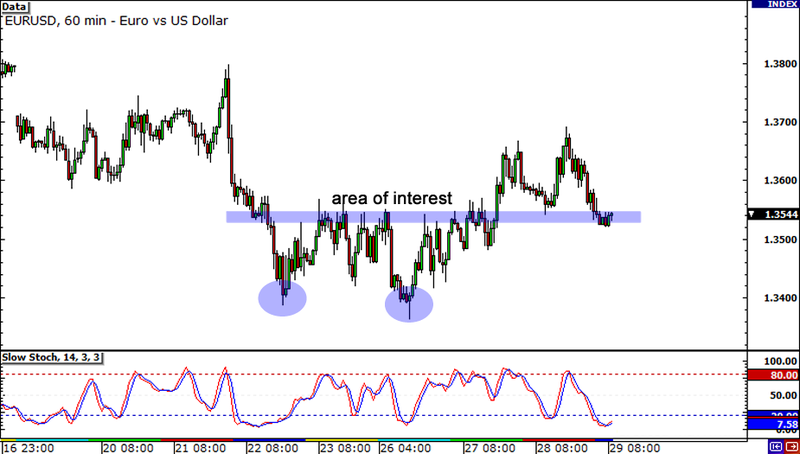 After breaking past the neckline of a double bottom formation earlier this week, EUR/USD has retraced and is right now back the resistance-turned-support zone around 1.3540. Will we see a bounce or a breakout? It seems to be holding for now, but a break of the consolidation could indicate a strong move back down to the 1.3400 handle. On the other hand, if we some bullish green candles, this pair might just head back up and break through the 1.3700 mark.